Three Bantay Kalikasan ecotourism sites in Lobo, Batangas are already set for their grand launch in September! Under the supervision of BK, the communities of Marine Tourism Development in Brgy. Lagadlarin, Mabisa Eco-Organic Farm in Brgy. Sawang and Tayuman Organic Farm in Brgy. Tayuman were assessed based on their capability to manage their own sites. 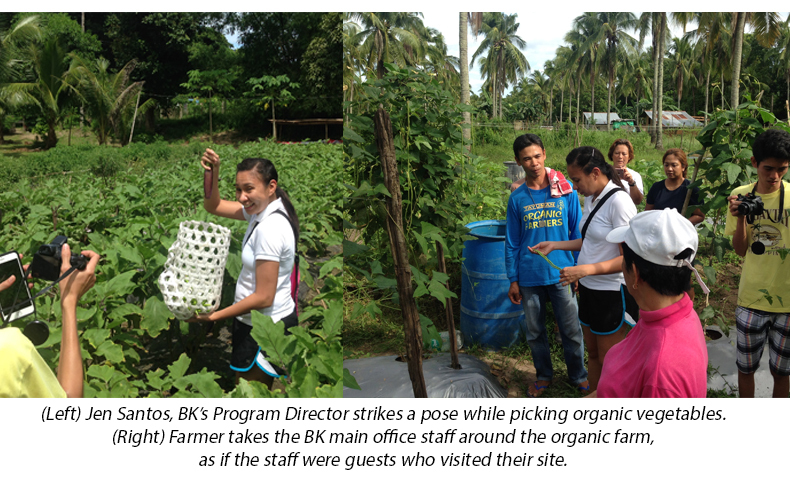 BK also conducted a dry-run for the communities in accepting and assisting guests as they experience organic farming, farm – to – table food and taking a dip at the marine eco-tourism site. With 105 direct beneficiaries, the marine ecotourism project in Brgy. Lagadlarin highlights the beauty and abundance of the natural resources of Lobo through ecotourism activities such as scuba diving, snorkelling and a stroll through a bamboo boardwalk in the Mangrove forest. The Tayuman Organic and Mabisa Eco-organic farm boast ecological farms that use an integrated farming model to cultivate the growth of various organic herbs, vegetables, fruits, and poultries. The latter offers different educational, tourism, and agricultural activities that will increase awareness on the importance of protecting and conserving the environment. Tayuman Organic farm has 25 direct beneficiaries while Mabisa has 17. Chef Ming cooks with representatives from Lobo's People's Organizations. 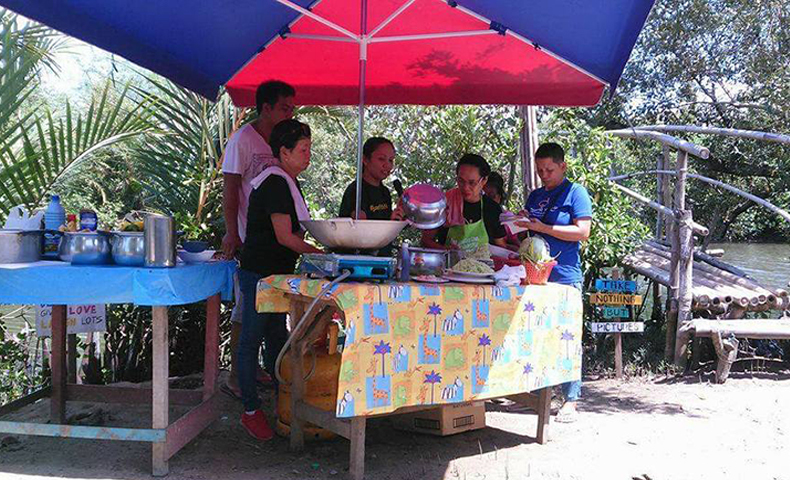 In line with the preparation of the sites, Ming’s Corner of G Diaries went to the Marine Eco-tourism Center to conduct a culinary training to 15 members from the people’s organizations of Mabisa Eco-organic Farm and Marine Eco-tourism Center. Facilitated by Chef Morina “Ming” Dorde, the members learned how to prepare different organic dishes which they can serve to their guests who will avail their tour packages. Goldilocks also delivered sets of baking equipment in Masaguitsit Banalo National High School to start the Goldilocks’ Bakery Project. The project aims to provide livelihood and income generating opportunities to the community. Bantay Kalikasan of ABS-CBN Lingkod Kapamilya Foundation, together with its partners who fund the eco-tourism communities, continues to create model communities with members who become stewards for the environment by forming people’s organizations and empowering them through giving livelihood opportunities.